The Easter holidays are just around the corner, bringing with them the added expense of entertaining the kids. 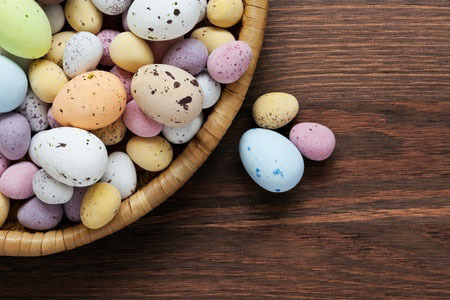 But with a bit of pre-planning using our free Money Dashboard budgeting software and our top tips, however, you can discover some great value ways to have fun with your children this Easter without breaking the bank. To make this Easter even more memorable, the kids will love getting involved in some arts, crafts and home baking. Painting egg shells and making paper mache Easter animals is easy, cheap, and tonnes of fun - and with loads of tasty Easter recipes like this one available online, you can make sure Easter satisfies even the sweetest tooth without spending a fortune. Get the kids involved with making fairy cakes and biscuits, and take time over the decorations. For more crafty ideas, our recent blog offers some inspiration for making some fabulous Easter decorations. It's no secret that leisure centres can be expensive, but you needn't splash out on a high-grade membership to get good deals on family sports activities. In fact, a recent Tennis for Free initiative means that more and more public tennis courts are available to use at no cost  and some even offer free coaching once a week. Check out the Tennis for Free website to find courts near you. If you have a budding Rooney in the family, Tesco also provide free football coaching during the school holidays, so be sure to look up any sessions in your area. This year's Easter Egg hunt could be even more exciting for the children without spending a fortune on chocolate. Think up a theme  pirates are always a favourite  and transform your garden into a fantastical world complete with funny clues to guide the kids to all the hiding places. Don't worry - fancy dress is optional. Following the theme of Easter hunts, geocaching is a fantastic new trend that is absolutely free to do. Look up any geocaches in your local area, and follow a GPS trail to uncover a series of hidden objects (or caches). Geocaching is family fun as it should be: exciting, educational and with a little light exercise for good measure. Many geocaches take advantage of the natural landscape, so it's also an ideal way to discover the Great British countryside with the kids. So many museums offer subsidised or free entry that it's a shame to miss out, but the thought of trawling around wordy exhibitions can be off-putting to young kids. In the 21st century, however, museums needn't mean boring; with a spectrum of interactive features and installations, toys and even entertainers, there are hundreds of museums around the country that cater especially to children. This list of 10 top child-friendly museums in London is an inspirational showcase of what's available.